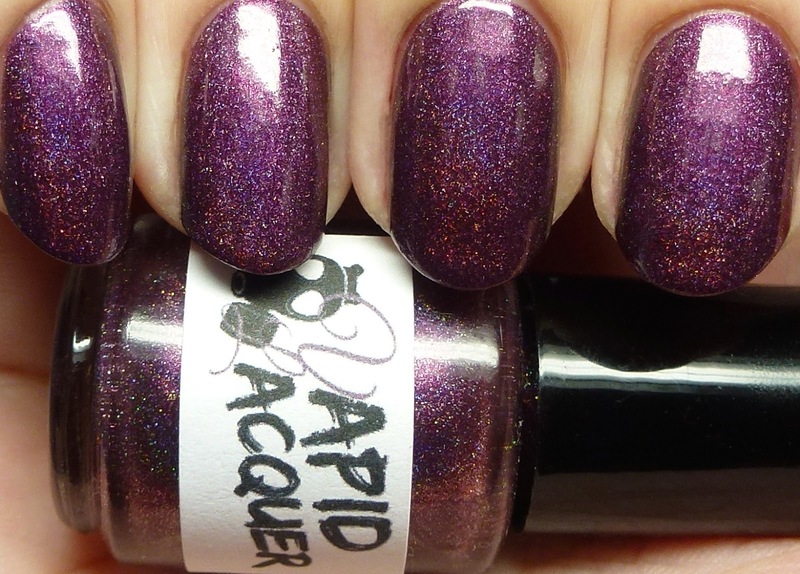 Blackened Amethyst is one of those colors that could easily become a classic for the brand. 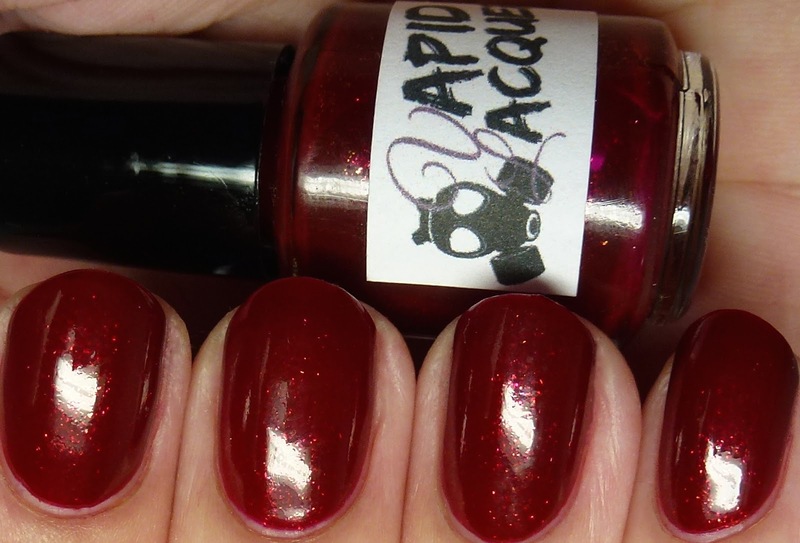 It has a great, super-opaque formula and no issues at all. The shimmer really makes it glow. 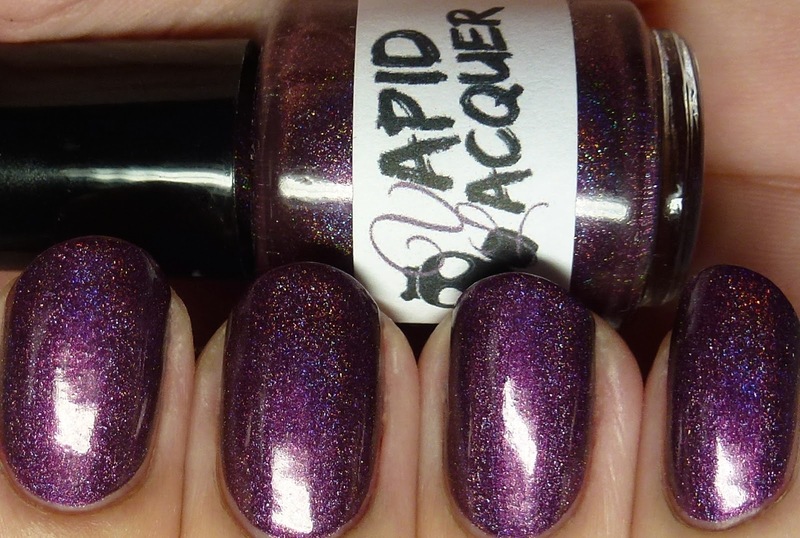 If you haven't tried the brand before and are looking for a polish to begin with, this is a great choice. 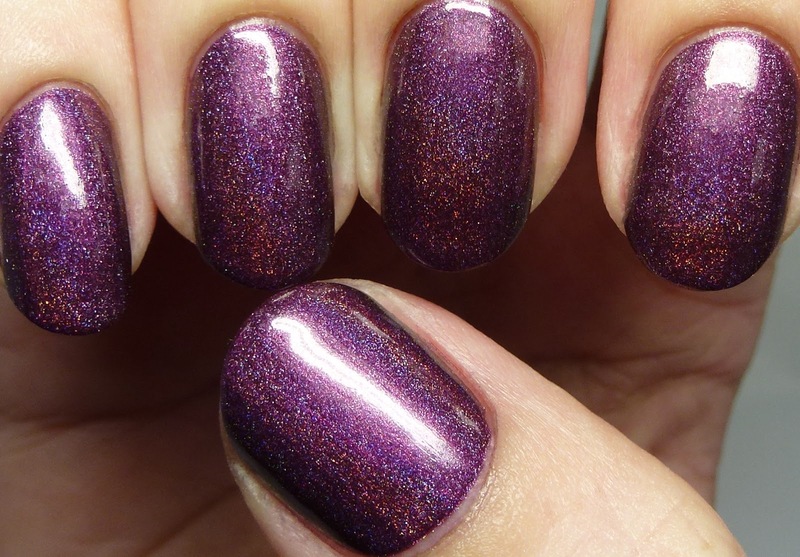 Linear holographic shimmer in a Tyrian purple shimmer base. Three thin coats. Buttercreme Moonbeams is a subtle light neutral - pretty classic. 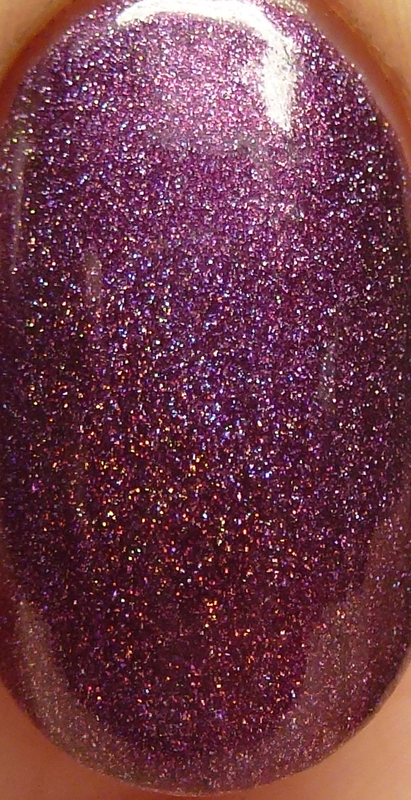 The holo in this is apparent in real life, but blends a bit with the light base for a nice work-safe polish. The dry time is slower than average for the brand, so I recommend thin coats and a quick-dry topcoat. 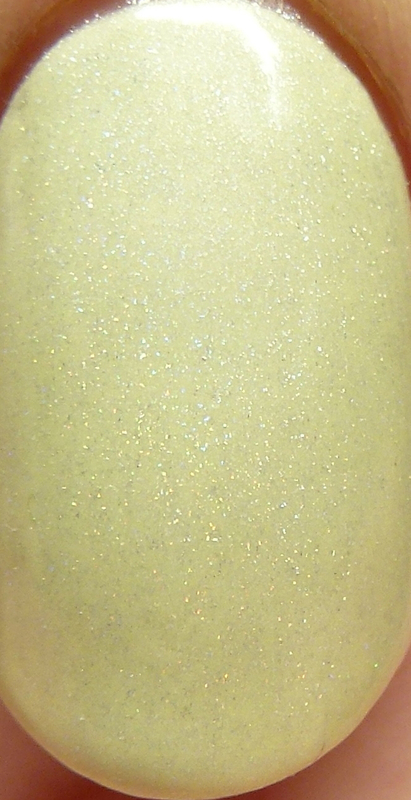 Scattered holographic shimmer in light buttercream yellow base. Four thin coats. 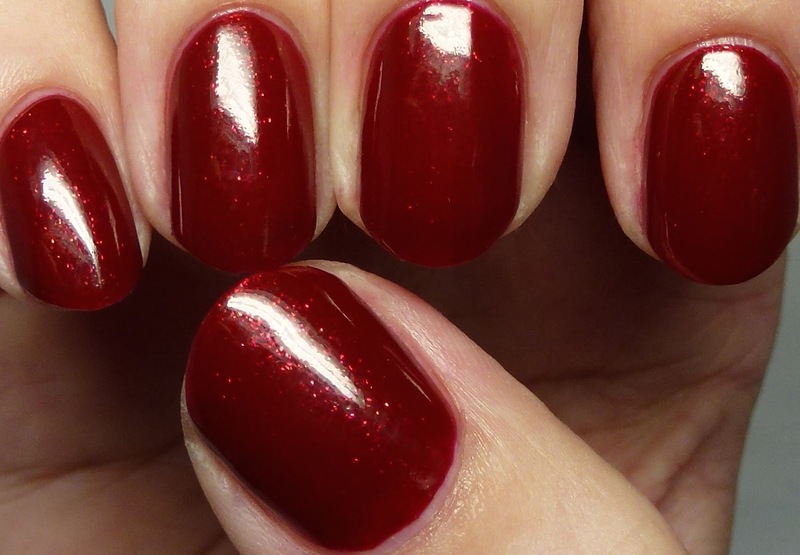 Embers is a another glowing vampy shade. I am passionate about my jelly polishes and this is definitely a successful one. Highly recommended for both the formula and effect. 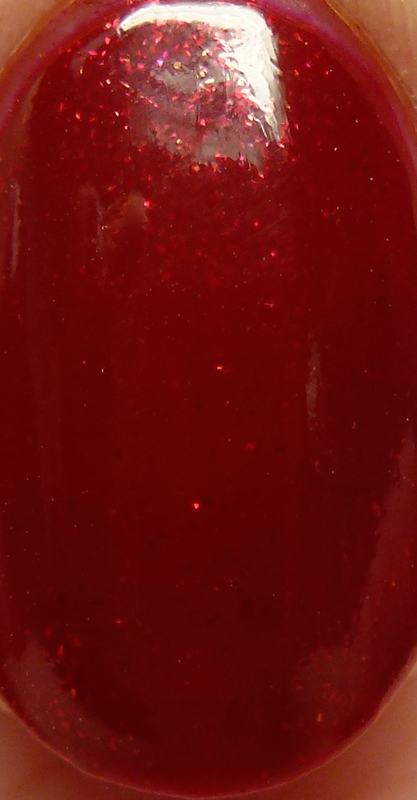 Gold shimmer flecks in a translucent barn red jelly base. Three thin coats. I Spike My Coffee is another subtle, unique neutral shade. The shimmer in it is not showy like Embers but delicate with a little kick. 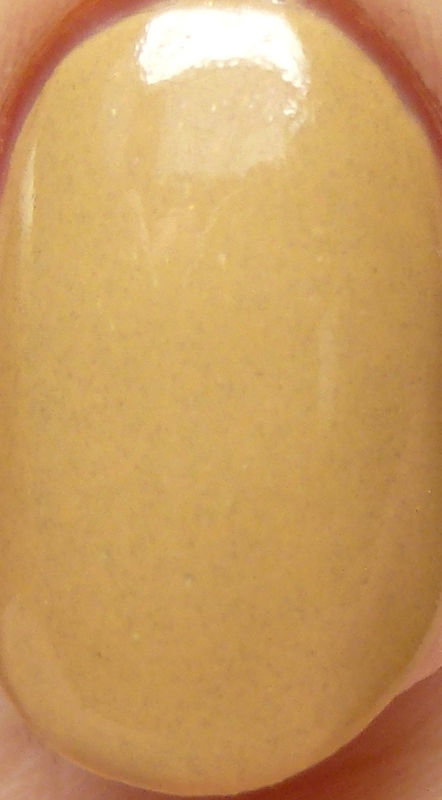 Color-shifting pink-to-gold duochrome shimmer flecks in a sunray tan base. Four thin coats. Majik Brownies is a wonderful, unique shade. The warm micro-flakes along with the cool, brown base makes it stand out in my collection - be sure to check out the macro below to see what I mean. 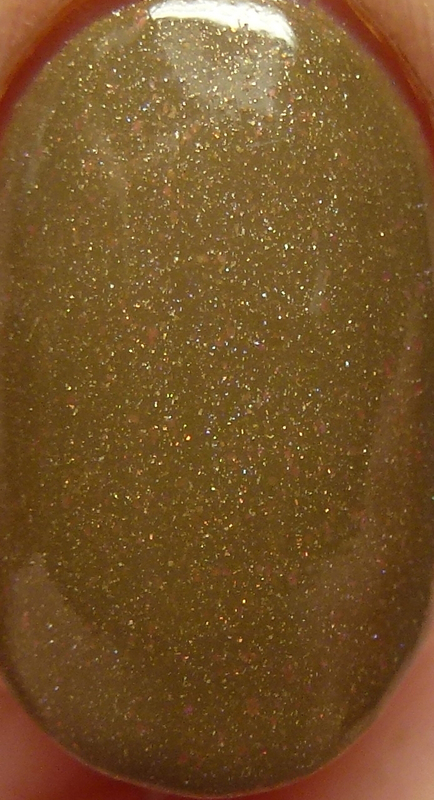 Scattered holographic shimmer and orange-red shimmer flecks in a field drab base. Three thin coats. 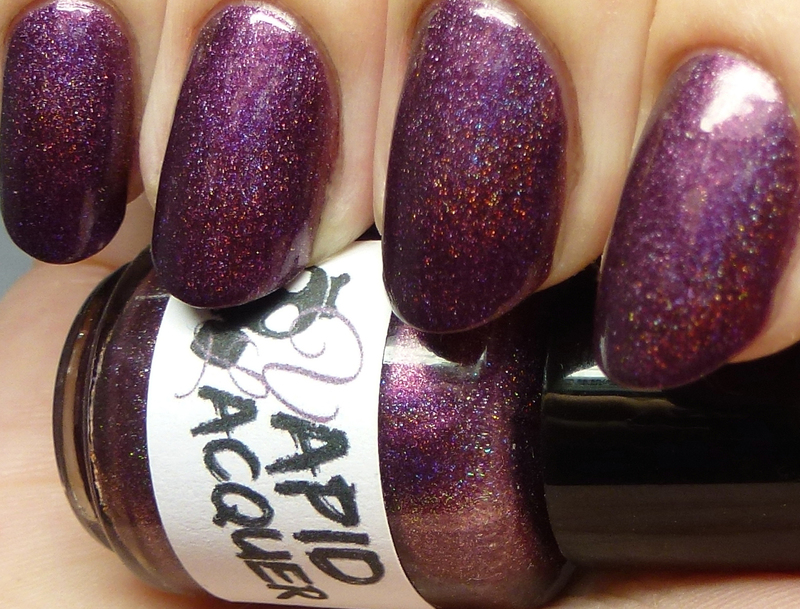 Overall, this is a spectacular collection and includes some really stand-out shades. 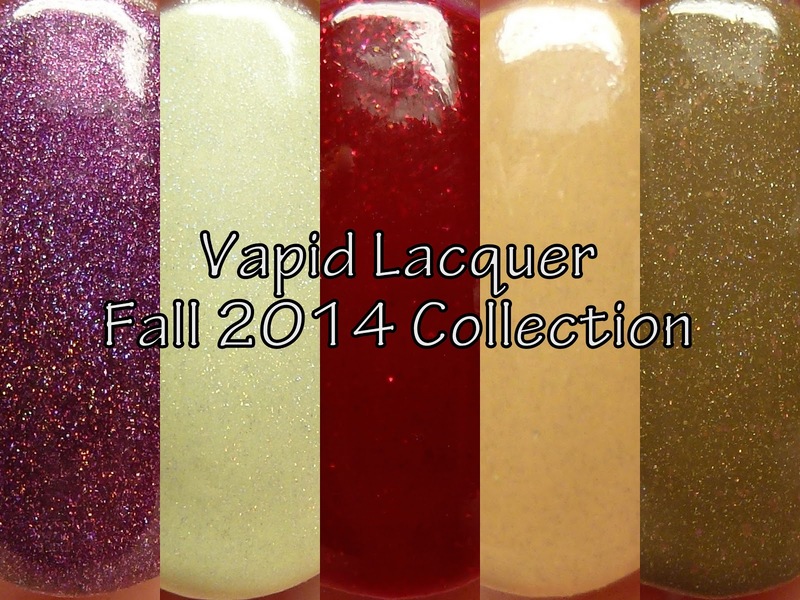 I've been a customer of Vapid Lacquer since her days on Etsy and have been continually impressed by the creativity and ease-of-use the brand brings to the table. 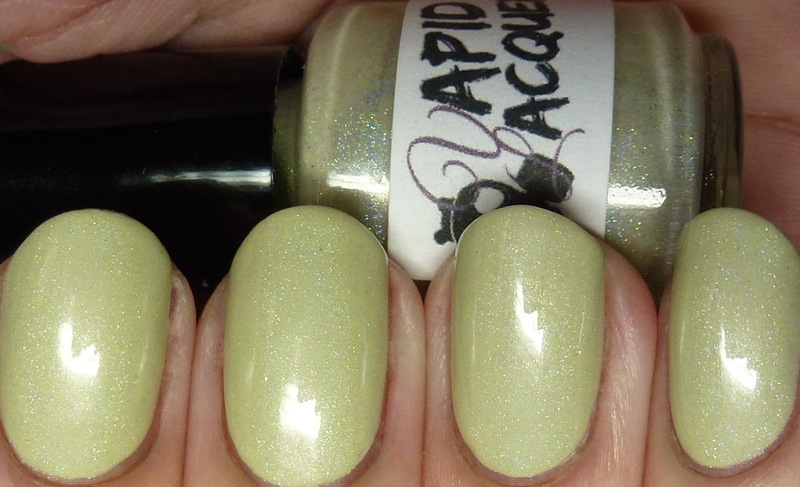 Vapid is made by Krys in Texas, and features polishes in a variety of finishes along with nail and skin care products!